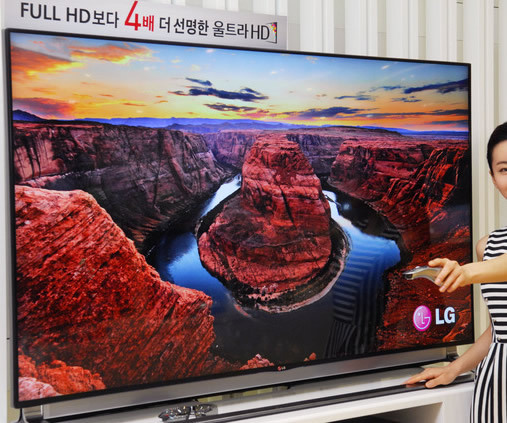 LG has confirmed recently that they are now slashing the prices of its 55 and 65 inch 4K TVs. Both models will be receiving a price cut of a $1000 and $1500, respectively. The LG 55LA9700 55 inch 4K TV will now go for the price of $4,999 while the LG 65LA9700 65 inch 4K TV goes for the price of $6,499. The new prices will go into effect starting on September 1st. John Taylor, vice president of the company said that the company has made the price cut to “keep LG Ultra HDTVs competitive in the marketplace.” Even though these models are getting huge price cuts, they are still out of the range of everyday customers like myself, they should see a jump in profits from these new price cuts but don’t except too much mr. vice president.